The photo has left many stumped. 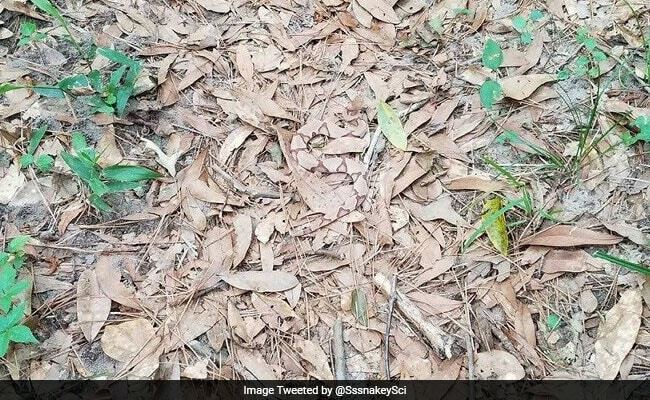 See if you can spot the venomous reptile. And, just to emphasise how dangerous exactly the outdoors are if you don't look where you're going, Helen also points out that the snake is a venomous Agkistrodon contortrix, aka, a copperhead snake. Well, did you manage to find the snake by yourself? Do let us know using the comments section below.